Is printer ink really the most expensive liquid on earth? Taking into account the size of a printer cartridge, ink can sometimes seem like the most costly thing on the planet but is that really the case? Well no, not really, if you compare it with the cost of the venom of a scorpion, $39 million per gallon, it seems cheap. But it’s all relative, there isn’t exactly a huge world market for scorpion venom but there’s a huge market for printer ink. It’s difficult to tell where exactly printer ink ranks in the expense ratings; there is a lot of conflicting data around when it comes to price; what isn’t up for debate is that it’s definitely at the top end with costs estimated at between $2,500 and $5,500 per gallon. What Makes Printer Ink so Expensive? 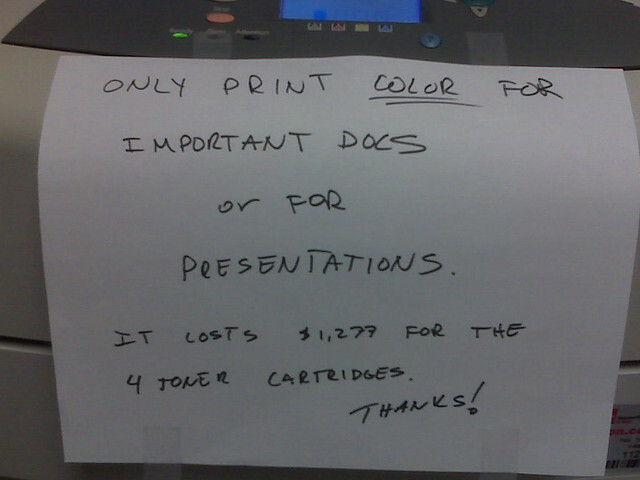 When you are having to pay what seems like an absolute fortune just to make sure you have enough ink to print your document it doesn’t seem like there would be any reason good enough for the price of ink to be so high. The manufacturers give details of the ink cartridge manufacturing process in an effort to justify the retail prices. This starts with the fact that the ink has to be in a form that will stay stable in a liquid state for the whole time that the cartridge is in the store waiting to be sold and for the time from purchase until it is used by the buyer. When it comes to the time that the ink is to be used it has to be able to shoot through the print head and produce clear text or images on the page. After doing so it is important that the ink dries immediately. You can find out more about the range of A3 printers on the Konica Minolta site by visiting this link. Well, taking all that into consideration the production of ink does seem to be a very detailed process but is that really justification for the prices charged? There are plenty of things in life that are complicated to make such as certain high end wines or the more exclusive aftershaves and perfumes, but they are all available at a cheaper rate than printer ink. HP have recently announced Instant Ink; they insist that this will result in savings of up to 70% for users. The basic premise is that you pay for the pages you print not the cartridges you use. Printers that are able to use the service automatically indicate when they are low on ink via The Cloud. The user then receives replacement cartridges through the post. The service is charged monthly, much like paying for phone use. The charges for the Instant Ink service are $2.99 per month plus tax for 50 pages, $4.99 plus tax per month for 100 pages, and $9.99 plus tax per month for 300 pages. It certainly seems as though this may be a more affordable solution for HP users, especially businesses.